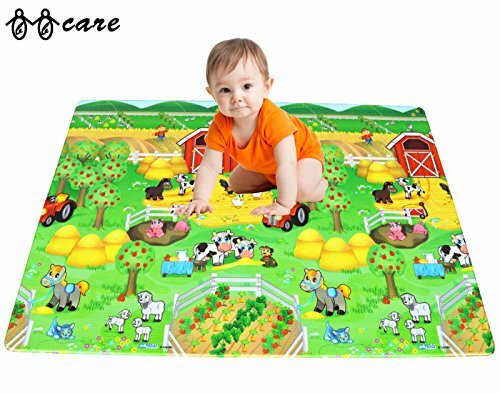 Create a safe and comfortable play area for your child with the BBCare play mat. Suitable for ages 0 months and up, BBCare Soft Mats are perfect for tummy time, crawling and learning to walk. The mat's thick cushioning absorbs impact, protecting your baby or toddler from falls that may commonly occur. The double-sided design features fun and colorful characters on one side and the alphabet on the other side, so your kids can learn while they safely play! Provides a safe and independent play space for your child. Character designs are colorful, vivid and educational to stimulate child's emotional and creative development. Water-resistant and easy to clean. Simply wipe up spills with a damp or wet cloth. If you have any questions about this product by BBcare, contact us by completing and submitting the form below. If you are looking for a specif part number, please include it with your message.